Please join us on Friday January 18, at 2pm ET, 1m CT. for a webinar on Why Salespeople Don’t Sell presented by Dan Greene of Nolan Advisory. 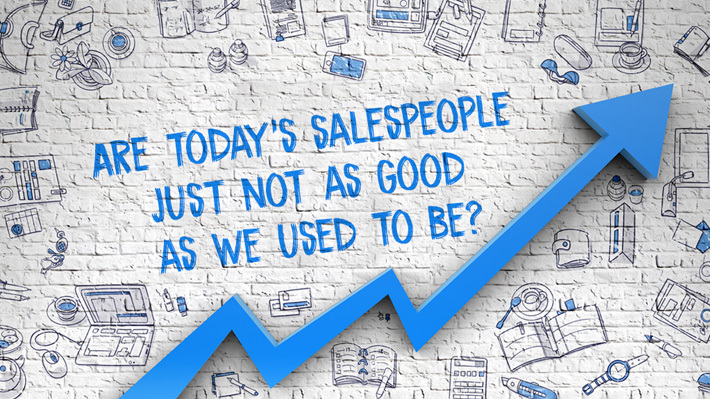 Having previously presented webinars on Cash Flow Management, Scaling Your Business, and Pricing Strategies Dan will now share insights on what gets in the way of the selling process for today’s salespeople. These insights are sure to assist our members to overcome these obstacles and find new ways to maximize revenue while penetrating new markets. Please RSVP your ability to attend as seating to the live event is limited to the first 25 registrants. After you register an email will be sent a link to the online meeting room. If your schedule doesn’t allow you to attend live you’re welcome to watch the recorded program whenever it’s convenient. Be sure to join us on, January 18 at 2PM (ET), 1 PM (CT) to attend this webinar. Class will be limited to the first 25 registrants.